Oh God, I don't know why I'm always experiencing bad service. I'm not asking much, am I? I'm just asking for the company to do what they promised. WHY OH WHY MUST DOMINOS BE SO INEFFICIENT??? So this is what happened. I ordered at 6:13pm. Then on the website it says that they are busy, so they can only start preparing the pizza etc an hour later. Ok, fine, I understand.. It's 9:13pm. Still no pizza. Do I have the right to be mad? I believe so. So my sister and I decided to call their hotline to ask. And the person said that it's the rider has arrived at my place, and called me but I did not answer because it's the wrong number. So he decided not to deliver and just act like I've never ordered. So this person on the phone kept emphasising that the rider did arrive at my place, but because I did not answer my phone, so he couldn't deliver the stupid pizza. My question is, why can't you come up to my house to and knock the door to ask if I ordered? Is calling/sms the only way you can contact me? You couldn't even email me to at least inform me that my order is void? So I was left there waiting for the damned pizza for 3 hrs. Please don't ever order form Domino's every again. 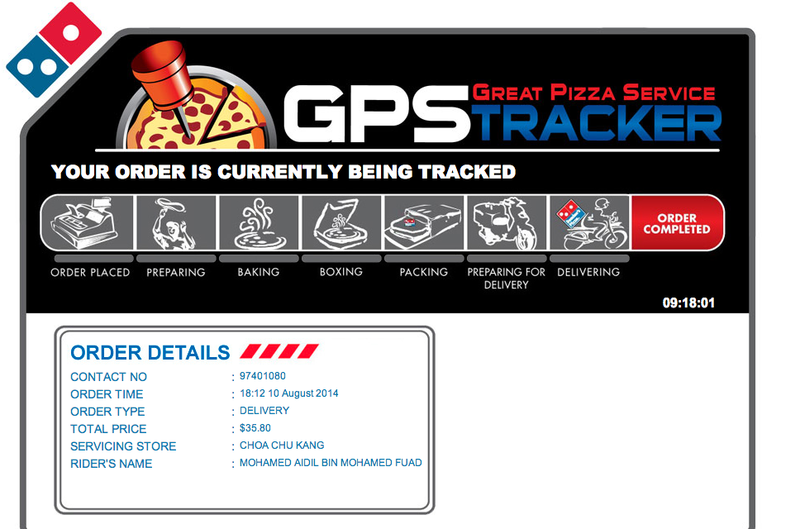 From what I've read on Facebook, apparently Domino's promised 30mins delivery is not true. So far, everytime I ordered, they're never on time. They just push you this stupid Sorry We're Late voucher that promises you a free personal pizza if you spend a minimum of $15 and it expires really fast. How insincere. Or maybe they're just doing it on purpose, so you'll keep buying pizza to redeem the free pizza with the voucher.